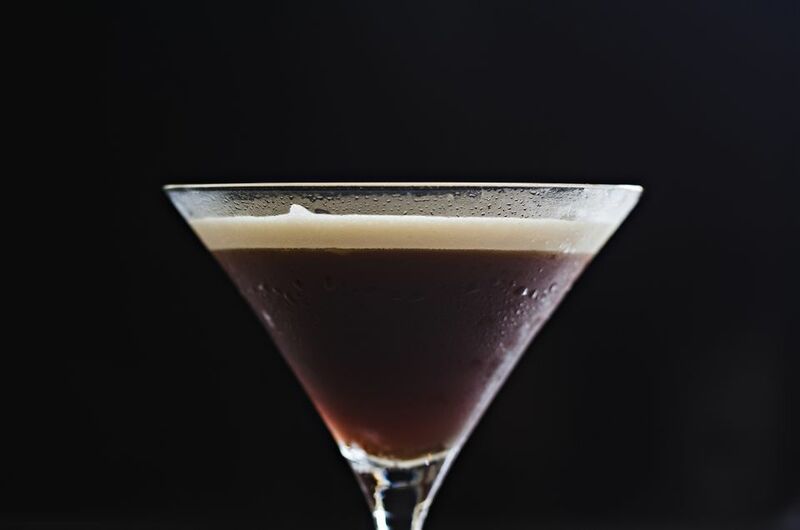 The Midnight Martini is an interestingly simple cocktail that—when deeper-colored liqueurs are used—looks as dark as midnight. Try this one out with Van Gogh's Espresso or Double Espresso Vodka or Three Olives Triple Shot Espresso, though do be warned that all of them have quite the caffeine kick. You can add cinnamon syrup as an optional ingredient to the original recipe for two reasons: cinnamon is a great compliment to coffee and it gives the drink a little something extra. Cinnamon syrup is very easy to make yourself and it's a great addition to regularly stock in both the bar and kitchen because it's an ingredient that can be used to enhance many different recipes, even if that's just your morning cup of coffee. If you prefer, use another flavored syrup to customize the martini to your own taste. Midnight Martinis are also often served as a shooter—just shake, strain into a shot glass and go for it.